Summer is a beautiful season for it welcomes colours and many of them. But summers also brings with it scorching heat, sweat-stache and sweat-brows. The dirt, pollution all provoke pimples. You always sleep with the thought, hope tomorrow is not the day when I have to see a pimple at an odd spot on my face. 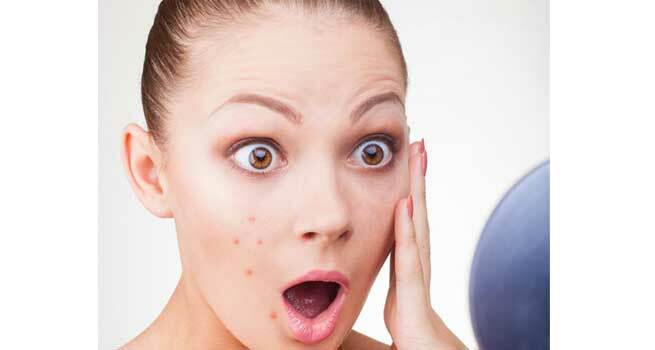 To overcome the fears and keep your skin clear, we tell you how to stay pimple free this summer. Cotton is best type of clothing for the summers. Cotton allows the skin to breathe and absorbs the sweat from your body, minimizing your chances of getting pimples even further. Our scalp sweats the most. The sweat then breaks out to the forehead and other areas of the body where the hair travels. Hair styling products too are heavy on heat especially in the summer. Hair also has a propensity to accumulate dirt and pollution if you are one of those who is always on the move. Go as natural as possible and make sure you keep your hair clean with at least twice a week wash and condition. Foundations make you sweat more. Do not apply heavy foundations or make up. Rather choose the lighter versions and as far as you can go, keep your makeup at minimalistic levels. What you eat is what you get. Avoid fried, unhealthy products in the summer. Opt for natural fruits and vegetables, more which are water soluble. They keep your skin glowing and also hydrated. Watch your water intake. As we sweat more, we are likely to feel dehydrated. Add water and natural drinks like vegetable and fruit juices in your diet and supervise the consumption thoroughly. 8-10 glasses of water is a must. If you free your body and skin of toxins and keep it hydrated you will glow and stay pimple free at the same time. It is easy to feel irritated and deprived of energy more in the months of summer. Do not elevate stress or tension of any form as far as possible. Our hands tend to touch hundreds of things in the day. Some even muddy and some where you cannot see the present bacteria. It is practically impossible to be alert and sanitize your hands every now and then. It is suggested to avoid touching your face with hands as far as possible. When touching, do so with clean, washed hands. Your hands are your route to spreading the bacteria, dirt, to your face and body. 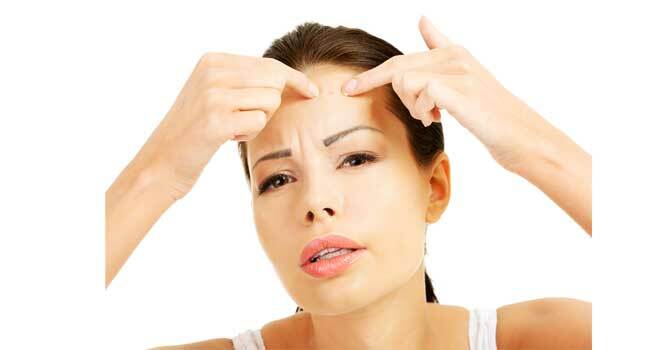 It is better to avoid then to cure the caught acne.